Apple has finally unlocked the cuffs on its iCloud service, the virtual storage facility allowing users to store various files in that mystical silvery cloud. The Cupertino-based company is looking to detach from the marked-failures such as MobileMe and make iCloud the company’s first real successful web venture. Although Apple has excelled in terms of products, with the iPhone, iPad and iPod series being collective game-changers, it has always struggled to make the same impression online. From today, iCloud will allow you to store content through the cloud infrastructure, meaning you won’t need to use up as much space on your PC or Mac and more importantly, you won’t have to hurriedly sync in the morning before leaving for work. 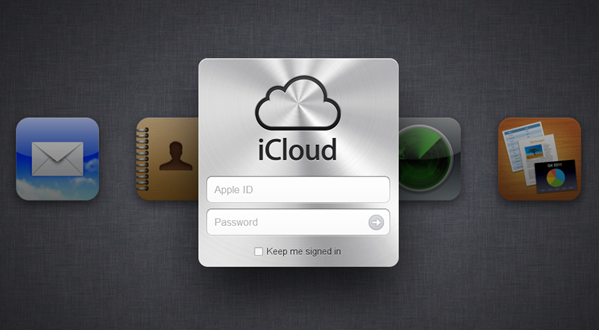 iCloud will make sure all of your devices are in perfect harmony with each other. If you download content on one device, iCloud will automatically slip it through to the other; so if you add content such as contacts, calendars, bookmarks, reminders, notes, or to-do lists to your iPhone, iCloud will make sure, if you decide to use your iPad, Mac, or iPod touch, that you won’t miss a thing. iOS 5 users will get 5GB of free virtual space, with various price plans if you require a little more real estate. As is the case with Apple’s developer accounts, the fees are charged on an annual basis, and $20, $40 and $100 will get you 10GB, 20GB and 50GB extra storage respectively. Steve Jobs seemed pretty buoyant when presenting iCloud at WWDC ’11, the last keynote of the company’s former CEO and visionary of the last 15 years before his untimely death last week from pancreatic cancer. It remains to be seen whether iCloud will raise the kind of grins from iFans as it did from the master himself, but with Apple making strenuous moves to reel in the consumers, iCloud certainly holds more promise than iDisk, .Mac and MobileMe. As a side note, iTunes Match, which lets you store your whole music collection in iCloud for $25 a year, will be a US-only implementation – at least for the time being. As opposed to simply just backing up your entire music collection through iCloud, iTunes Match will also recognize the songs you have which are already on the iTunes database, and let you access its 256kbps AAC file instead – even your version is inferior in quality. Seems like a pirate’s dream, wouldn’t you agree? Those not fortunate enough to live Stateside will have to wait to see any of iTunes Match, which according to Eddy Cue, Apple’s Senior VP of Internet Software and Services, should begin to trickle out to other countries by the end of the year.